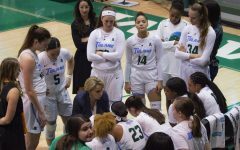 Tulane women’s basketball’s (12-7, 3-2 American Athletic Conference) two-game conference win streak was snapped Sunday against the UConn Huskies (18-0, 6-0 AAC), as the Green Wave fell 100-56 against its rival. 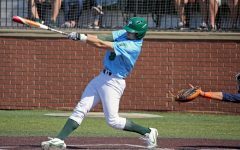 Tulane earned conference victories against fellow AAC members Southern Methodist University and the University of Houston. 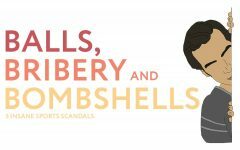 The Huskies, ranked No. 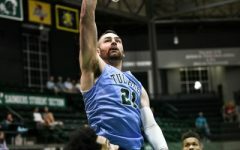 1 in the country by the Associated Press, was undefeated for 92 straight games and just emerged victorious over fellow conference member Tulsa 98-58. 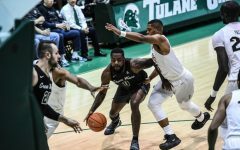 In the opening quarter, Tulane kept pace with UConn, and the Green Wave was only down by seven as it entered the second quarter. UConn’s leading scorer, sophomore guard Katie Lou Samuelson, was held scoreless through the first. Samuelson would go on to score a team-leading 32 points for the Huskies through the next three quarters. Beginning in the second quarter, UConn would begin to pull away from Tulane. Held to only 19 points in the first quarter, the Huskies would go on to score 31 in the second and entered halftime with a 50-29 lead over the Wave. The Huskies would keep its momentum going from there and continued to build its lead. 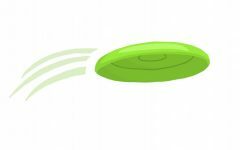 UConn outscored Tulane 50-27 in the final two periods, and the Huskies took control of the turnover game as it scored 31 points off 26 Green Wave turnovers. 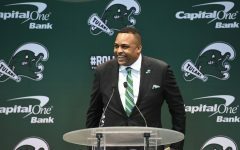 In spite of the loss, this was the Green Wave’s best showing against UConn since entering the AAC. Junior guard Kolby Morgan led Tulane in points with 22, making it her fourth straight game with double-digit points. Freshman forward Madison Wells brought up the second highest total for the Wave with eight points. 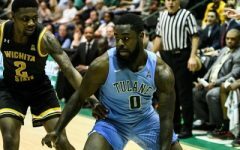 Tulane was 43 percent for overall field goal shooting from the field, but its three-point percentage struggled at 13 percent by hitting only two of 15 attempts. Morgan and senior guard Shakira Harding had one three-point completion apiece. In comparison, UConn was 50 percent on three-point attempts, hitting eight of 16 attempts, with Samuelson making four of eight completions. Women’s basketball will return home looking to rebound from the loss by playing Tulsa at 7 p.m. Wednesday at Avron B. Fogelman Arena in Devlin Fieldhouse.